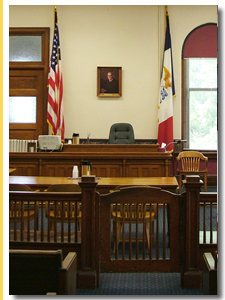 Contact a Iowa work comp lawyer representing clients in Ames, Iowa today to schedule your initial consultation. Workers’ compensation is an “exclusive remedy” with respect to work-related injuries. The term “exclusive remedy” means that unless an employee can show that there was another a third party responsible for his or her injury, workers’ compensation is the only benefit or monetary award that an employee can obtain. A third party may be another company or manufacturer. Employees are often injured by machinery or products that they use at work. Many employees successfully sue the manufacturers of these machines or products for compensation for their injuries. A lawsuit against a third party generally takes place in civil court, as opposed to workers’ compensation claims, which are generally handled by a state or federal agency. Employers generally aren’t involved in these lawsuits, but most states do have a method that allows an employer to recover their workers’ compensation payments from the compensation that an employee obtains from a third-party lawsuit. In some states, the employer and the insurance company that provides the workers’ compensation insurance join in the lawsuit against the third party. This joinder allows the employer and the insurance company to protect their right to be compensated for benefits that they have already paid to the injured employee. In other states, the employer is given a lien against any compensation that the employee may obtain. The employer and the insurance company must wait until the employee actually receives their compensation award, then the employee must pay back any workers’ compensation benefits already received. An experienced workers’ compensation lawyer will be able to advise you on the laws of your state if you think that a third party may be responsible for your on-the-job injury. Remember that even if you aren’t entitled to workers’ compensation benefits, you may be able to sue your employer or a third party for compensation for your injuries. Because you are bringing a claim under the workers’ compensation system, you are entitled to benefits, no matter if your accident was your fault or your employer’s fault. Before the workers’ compensation system was created, employees had to go to court to receive compensation for their work-related injuries. However, the current workers’ compensation system allows most employees to receive benefits. In addition, this system shields employers from lawsuits brought by employees.